The appeal of Cangas de Onis is its ideal location. It is at the foot of the Picos de Europa mountains, a short drive from the Asturian coast and at the center of a booming “soft” adventure tourism industry. All in all if you want to see green Spain and Asturias at their best, then this little town is a great place from which to base your adventures. Cangas de Onis is not the most beautiful town around the Picos de Europa, but it is certainly one of the best located and serviced, especially if your interests extend to including a sport, trip or activity in to your vacation. Over recent years Cangas de Onis has become a genuine center for adventure sports, although this should be qualified somewhat in the context of what “adventure sports” now lead most to imagine. Asturias is certainly not like New Zealand and Asturian adventure sports tend to be accessible to almost all and include canoeing in what are safe shallow rivers and quad biking in designated areas. For those wanting life threatening adventures you may have to search a bit harder, although you will certainly be able to find something that will offer up a serious challenge. To find out more about the many sports that the region has on offer, take a look at the main menu down the left side of this (and all) pages. You can then select the activity that interests you the most and read more. 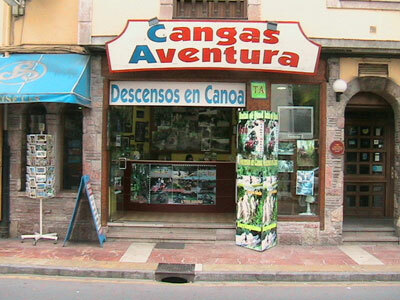 In the context of the Cangas de Onis principality, canoeing (mainly from Arriondas), quad biking and walking tend to be the local specialist activities and you will find up to a dozen different companies in the town centre all vying for your adventure or exploration sport custom. Many of these companies only operate during the summer months and although you can enjoy these pastimes all year round, you will not have the choice of quite so many vendors in December or February. For those interested in canoeing, the companies that operate this sport do so on a surprisingly large scale, but the sport is geared soundly towards the novice or first time canoeist. All the equipment, from wet suits and storage canisters, can be hired on site and there is a big hospital in Arriondas in the event of the odd cut or bruise that requires treatment. 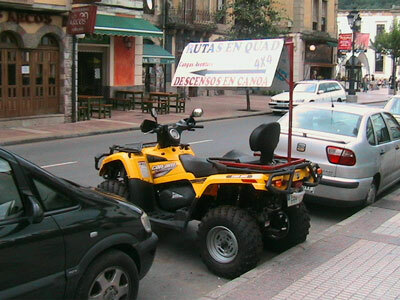 Quad biking is also popular in the green countryside and Cangas de Onis has a number of companies renting these vehicles along with trail bikes. 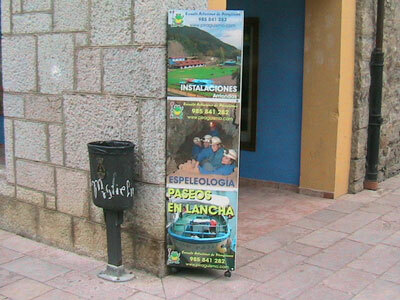 You can also go caving or arrange a fishing trip. Caving is increasing in popularity and the Picos de Europa mountains have extensive caves and tunnels running under them. When these services are offered you should ensure that there is full time supervision and safety training included in your package. In summer Cangas de Onis can get very busy and it has adapted an active tourist industry to cater for and exploit the many and varied requirements of its visitors. That said, you would be making a mistake if you try to visit this town in August when the visitor levels swell to near unbelievable numbers. By scheduling your trip in July or September (or outside the summer period) you can avoid the crowds and see the town and area in a much more relaxing light. You will also see a significant drop in hotel tariffs if you avoid the August rush.